The following list of calendars have been used in Korea or in Korean genealogical records. For some of these calendars, dates or years from these calendars are often preceded by the HanJa version of the calendar name when they are used. · This calendar is used primarily in recent modern genealogical records. Korea Founding / DanGun Era / DanGi Calendar 단기 檀紀 · The DanGi Calendar measures years from the ancient founding of Korea in 2333 B.C. · DanGi dates are generally preceded by 檀紀, followed by a year written in HanJa characters, and ending with the HanJa for year: 年. · Convert a DanGi year to the western calendar by subtracting 2333. JoSeon / ChoSun Founding GaeGuk Calendar 개국 開國 · The GaeGuk Calendar measures years from the start of the ChoSun Era that began in 1392 A.D.
· GaeGuk dates are generally preceded by開國, followed by a year written in HanJa characters, and ending with the HanJa for year: 年. · Convert a GaeGuk year to the western calendar by adding 1391. Southern Buddha Era BulGi Calendar 불기 (남방) 佛紀 (南方) · The BulGi Calendar was used in Buddhist records. · Convert a BulGi year to western calendar by subtracting 544. 六十甲子 · The 60-year cycle calendar is the most common calendar used in Korean genealogy. It is used both anciently and in some modern records. · See the previous section for tables, descriptions, and examples of how to work with this popular soli-lunar traditional Chinese calendar. Korean GeonYang Calendar 건양 建陽 · The GeonYang calendar was primarily used from 1896-1897. · GeonYang dates are generally preceded by建陽, followed by a year written in HanJa characters, and ending with the HanJa for year: 年. · Convert from GeonYang years to western calendar years by adding 1895. Korean GwangMu Calendar 광무 光武 · The GwanMu calendar was primarily used from 1897-1907. · GwanMu dates are generally preceded by光武, followed by a year written in HanJa characters, and ending with the HanJa for year: 年. · Convert from GwanMu years to western calendar years by adding 1896. Korean YungHwi Calendar 융희 隆熙 · The YungHwi calendar was primarily used from 1907-1910. · YungHwi dates are generally preceded by隆熙, followed by a year written in HanJa characters, and ending with the HanJa for year: 年. · Convert from YungHwi years to western calendar years by adding 1906. Japanese MyungChi Calendar 명치 明治 · The MyungChi calendar was primarily used from 1911-1912 during the Japanese occupation. · MyungChi dates are generally preceded by明治, followed by a year written in HanJa characters, and ending with the HanJa for year: 年. · Convert from MyungChi years to western calendar years by adding 1867. Japanese DaeJeong Calendar 대정 大正 · The DaeJeong calendar was primarily used from 1912-1926 during the Japanese occupation. · DaeJeong dates are generally preceded by大正, followed by a year written in HanJa characters, and ending with the HanJa for year: 年. · Convert from DaeJeong years to western calendar years by adding 1911. Japanese SoHwa / Shyoua Calendar 소화 昭和 · The SoHwa calendar was primarily used from 1926-1944 during the Japanese occupation. · SoHwa dates are generally preceded by昭和, followed by a year written in HanJa characters, and ending with the HanJa for year: 年. · Convert from SoHwa years to western calendar years by adding 1925. 崇禎後 · The SungJeong calendar was primarily used from 1628 to 1644. · SungJeong dates are generally preceded by崇禎 and followed by a year written in HanJa characters and the HanJa for year (年) and/or followed by two HanJa characters representing a year form the 60-year cycle (see above). · Convert from SungJeong years to western calendar years by adding 1627. YeongNyeok Calendar 영력 永曆 · The YeongNyeok calendar was primarily used from 1647. 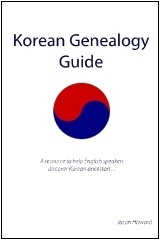 · Convert from YeongNyeok years to western calendar years by adding 1646. Confucious GongGi Calendar 공기 孔紀 · The GongGi calendar is based on the birth of Confucious. · Convert from GongGi years to western calendar years by subtracting 551. Japanese HwangGi Calendar 황기 皇紀 · Convert from HwangGi years to western calendar years by subtracting 660. CheonDo Religion PoDeok Calendar 포덕 布德 · Convert from PoDeok years to western calendar years by adding 1859. GaeCheon Calendar 개천 開天 · Based on the anniversary of the national founder TanGun’s accession. · Convert from GaeCheon years to western calendar years by subtracting 2457. North Korean JuChae Calendar 주체 主體 · Based on the birth year of the first North Korean dictator. · Convert from JuChae years to western calendar years by adding 1911.